One of the developing country India is showing its improvement in the online video industry. A vast number of people are spending time on search of the online video. The productions will get a massive engage customers through this e-marketing. 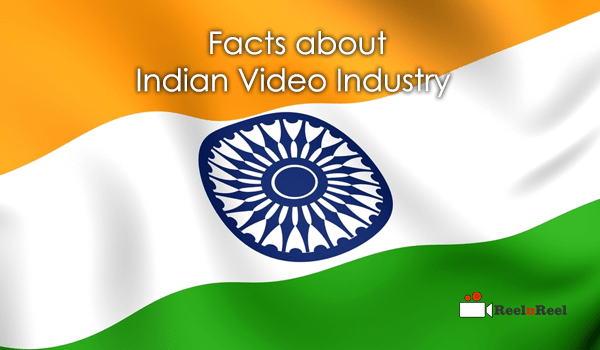 The below are the some of the unknown facts about Indian video industry. With increase in awareness on online videos, more than trillions of viewers are spending their time watching the videos from the various sources and especially from the mobile. The affordable data plans are the primary factor behind the growth of online video viewing of the people. India is expected to be the fastest growing in the advertising market when we reach 2018. According to the 2013 research reports, it was revealed that Indian market had grown more than 10 percent comparing to the previous year. More than 350 billion Indian rupees were generated from the advertising. The television and the printing is the most active advertising medium in India. The combined market share of India in digital media is above 70 percent. Indian ad spending is expected to be triple when it reaches 2020. The ad spend of India is increased from 250 billion rupees to the 650 billion rupees. It was revealed that more than 450 billion Indian rupees were generated as revenue in the year 2015. The total internet users in India were expected to be more than 250 million. From recent reports, it was predicted that India might cross more than 500 million users of internet when it reaches 2018. India is expected to become more extensive than the US in internet users in the coming days. More than 220 million active internet users noticed from India. More than 100 million people are using the social media from their mobiles. The eCommerce business were also using the video advertising and building their identity on the website from India. More than 45 percent businesses were going with video advertising. The online market in adverting is nearly 3000 crore in India. The Indian eCommerce industry is expected to raise more than 23$ billion. E commerce stores like Myntra, Flipkart etc established a good fame in video adverting and online marketing from India. More than ¼ women population of India were on Instagram video platform. By observing all these we define the demand of video in the industry of India which is helpful for the growth of the country in a digital manner. The demand for this type of video-based will gain the benefits in all angles.